Thanksgiving in the United States is a unique national holiday. It honors no group of people, as Presidents’ Day or Memorial Day do, nor does it celebrate a pivotal event in history like Independence Day (July 4th and the signing of the Declaration of Independence) or Patriot’s Day (memorializing the horrific events of September 11, 2001). The fourth Thursday in November is commonly celebrated with families around a groaning dinner table crammed with favorite family dishes and turkey at its center, parades followed by football on TV, and planning Black Friday shopping with the precision of General Eisenhower coordinating Operation Neptune's landings at Normandy. Where did this holiday come from, and how did it grow to such an iconic celebration of Americana? Native Americans had held ceremonies to give thanks for many occasions: successful harvests, the hope of a good growing season in the early spring, and other good fortunes such as the birth of a child. Giving thanks was, and still is, the primary reason for Native American ceremonies or celebrations. 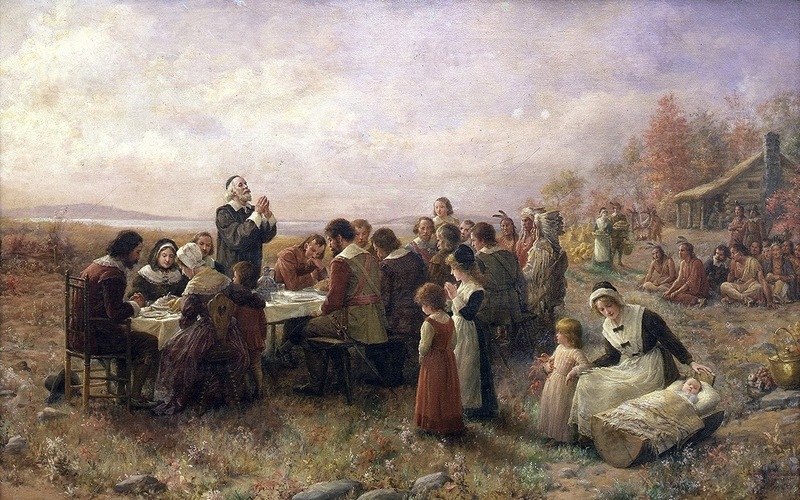 The Pilgrims, the first colonists in New England, were also accustomed to regularly celebrating "thanksgivings"—days of prayer thanking God for blessings such as military victory or the end of a drought. In the late fall of 1620, the Pilgrims arrived in America and found themselves horribly unprepared for the New England winter; more than half their party died before spring. After the thaw, they befriended some local natives who taught them how to survive in this new land. 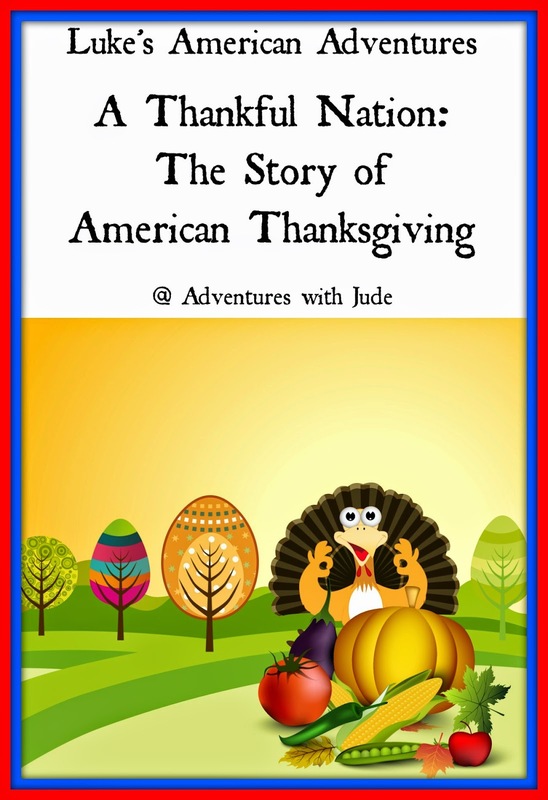 90 Native Americans and 53 Pilgrims shared in the first "American" Thanksgiving, a three-day feast in the fall of 1621 celebrating friendship and a bountiful harvest. Days of thankfulness continued during the American Revolution. The Continental Congress issued several proclamations declaring a Day of Thanksgiving, often coinciding with military victories. These were not specifically national celebrations, but generally observed only in the areas local to the battle. In 1789, a newly inaugurated George Washington called for a National Day of Thanks to celebrate both the end of the war and the recent ratification of the U.S. Constitution. Both John Adams and James Madison issued similar proclamations of their own, but fellow Founding Father Thomas Jefferson felt the religious ideals surrounding the event were out of place - the nation had been founded on the separation of church and state, so thanking God for blessings was out of place with a federal holiday. There was no preclusion to local municipalities establishing events, but because of this philosophy, no formal national declarations were issued after 1815. 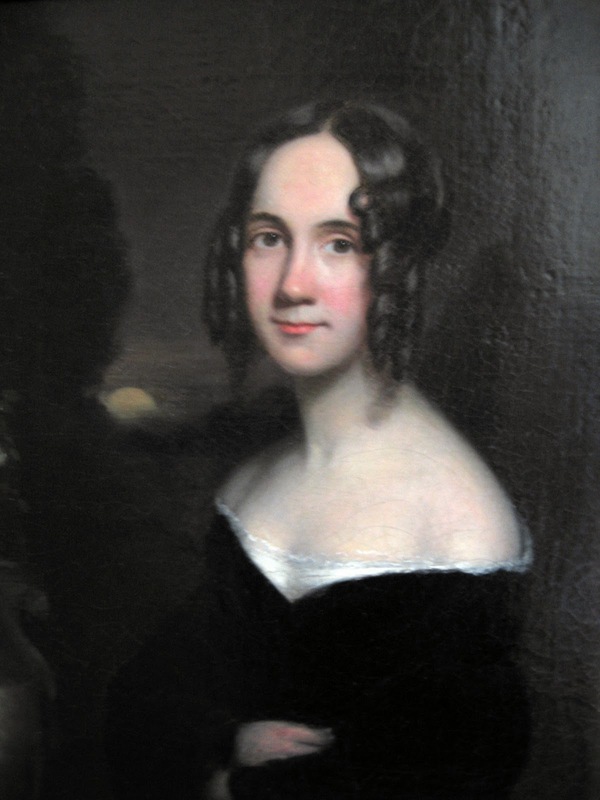 Much of the credit for the modern Thanksgiving day goes to a woman named Sarah Josepha Hale. A prominent writer (she authored the nursery rhyme "Mary Had a Little Lamb") and newspaper editor, the New Hampshire-born Hale had grown up regularly celebrating an annual Thanksgiving holiday. 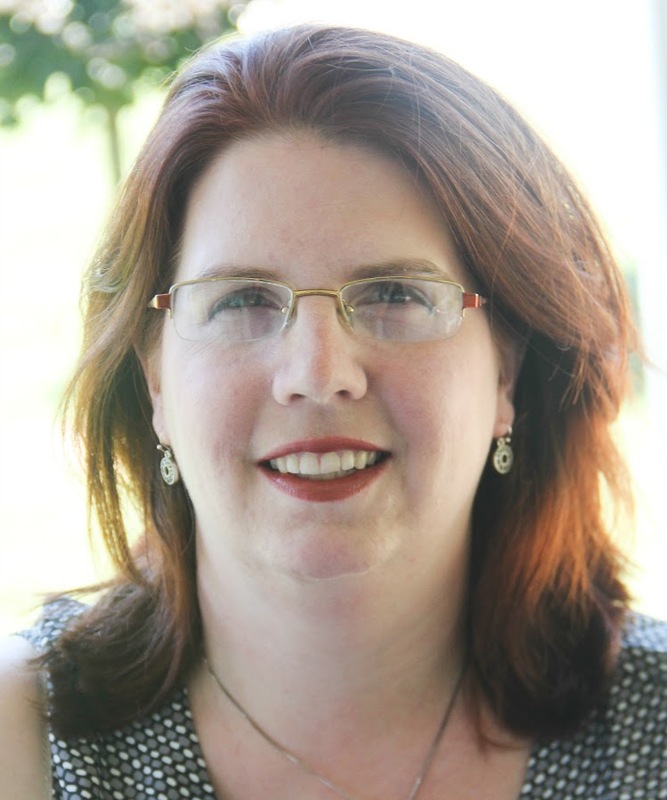 Hale often wrote editorials and articles about the holiday, and she lobbied state and federal officials to pass legislation creating a fixed, national day of thanks on the last Thursday of November—a unifying measure, she believed that could help ease growing tensions and divisions between the northern and southern parts of the country. Her efforts paid off; by 1854, more than 30 states and territories had a Thanksgiving celebration on the books, but Hale’s vision of a national holiday remained unfulfilled. The outbreak of the Civil war in April 1861 did little to stop Hale’s efforts to create such a holiday, however. She continued to write editorials on the subject, urging Americans to “put aside sectional feelings and local incidents” and rally around the unifying cause of being thankful for blessings. Though the practice of thanksgiving continued in both the Union and the Confederacy, it was far from Hale’s ideal of a unified event. In 1861 and 1862, Confederate President Jefferson Davis had issued Thanksgiving Day proclamations following Southern victories; United States President Abraham Lincoln himself called for a day of thanks in April 1862 following Union victories at Fort Donelson, Fort Henry, and Shiloh, and again in the summer of 1863 after the Battle of Gettysburg. 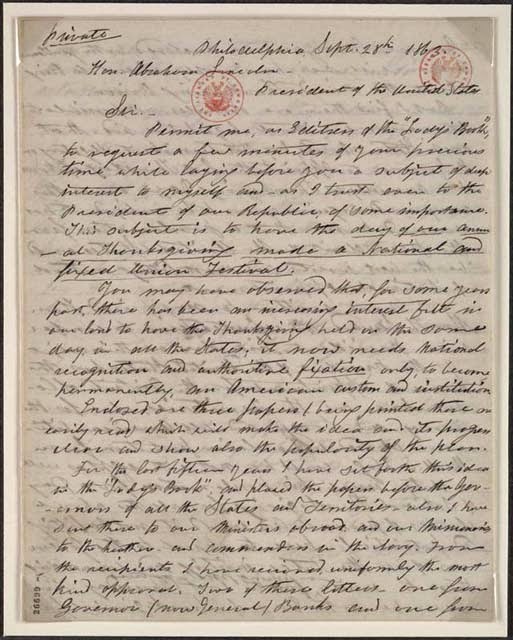 Shortly after Lincoln’s summer proclamation, Hale wrote to both the president and Secretary of State William Seward, once again urging them to declare a national Thanksgiving, stating that only the chief executive had the power to make the holiday, “permanently, an American custom and institution.” Whether Lincoln was already predisposed to issue such a proclamation before receiving Hale’s letter of September 28 remains unclear by historians. What is certain is that within a week, Seward had drafted Lincoln’s official proclamation fixing the national observance of Thanksgiving on the final Thursday in November, a move the two men hoped would help “heal the wounds of the nation.” After more than three decades of lobbying, Sarah Josepha Hale (and the United States) had a national holiday. Though it still held some religious undertones, it was less of a “God hath blessed us Christians” event from the Pilgrims’ era. With so many families broken by the War, as well as an increasingly industrial society, this new national Thanksgiving was becoming a secular “thankful for family and friends gathered here today” celebration. If you look at modern calendars, Thanksgiving isn’t always at the end of the month. How did there get to be an extra week between Thanksgiving and Christmas some years? In the early 1900s, proud first-generation Americans wanted honor their parents and heritages and recreate the festival-type atmosphere that surrounded the harvest and ushered in the holiday season. 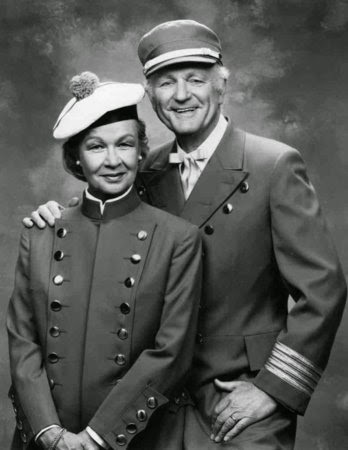 The Gimbel family, proprietors of the Gimbels Department Store, established the first Thanksgiving Day Parade in Philadelphia. It was first held on Thanksgiving Day 1920, and though it has seen several sponsors since the demise of the department store, it remains the longest-running Thanksgiving Day parade in America. (Though it has become the iconic American parade, the Macy’s Thanksgiving Day Parade did not begin until 1924.) The sponsoring merchants were canny -- at the end of the parade, Santa Claus made his first appearance for the year, ushering in the “holiday shopping season.” However, there were five Thursdays in November 1939, with Thanksgiving now falling on November 30, 1939. With only 24 days to shop and an already shaky Great Depression economy, President Franklin D. Roosevelt moved the holiday to the fourth Thursday in November, extending the shopping season by a week. While several states followed FDR’s lead, others balked at the blatant consumer twist to a day that focused on family, friends, and a successful year. 16 states refused to honor the calendar shift, leaving the country with dueling Thanksgivings. Despite continued opposition from traditionalists, he moved the 1940 holiday ahead as well, placing it on the third Thursday in November. Faced with opposition from constituents ranging from the average citizen to college football conferences, the U.S. Congress passed a resolution in the fall of 1942 codifying the federal observance of holiday to the fourth Thursday of November. Though some states continued to observe Thanksgiving on the final Thursday of November, by 1956 all states had amended their observances to be in line with the federal holiday. Five out of every seven years, the “fourth” Thursday is also the “last” Thursday, while the remaining two years have a fifth Thursday in the month. The concept of setting aside time to give thanks for one's blessings is older than the settlement of the North American continent itself. 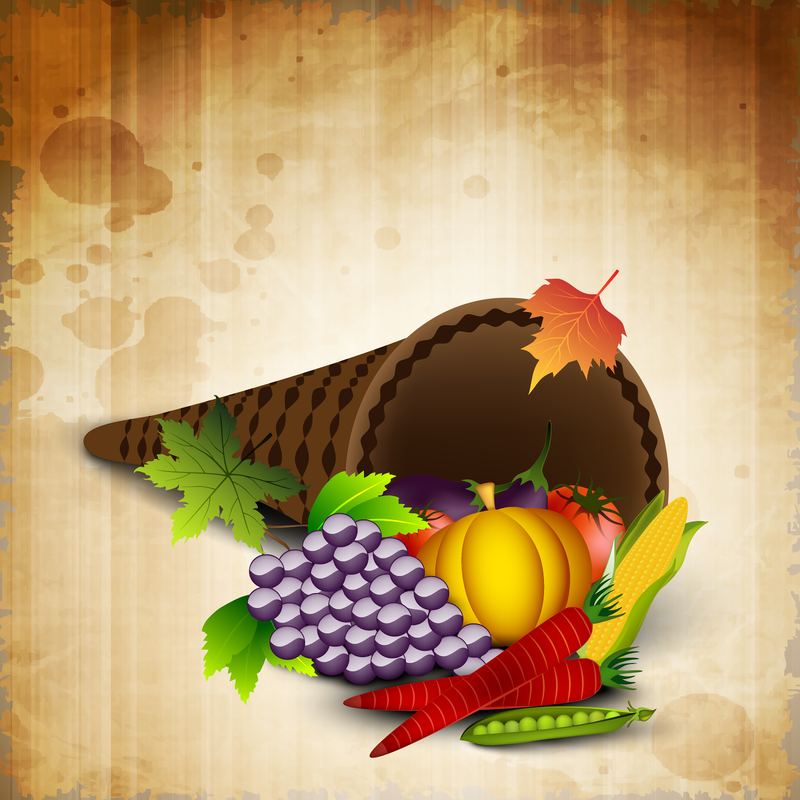 Americans commonly trace the Thanksgiving holiday to a 1621 celebration at the Plymouth Plantation, where the Plymouth settlers held a harvest feast after a successful growing season. Often called the “Mother of Thanksgiving,” Sara Josepha Hale persuaded President Lincoln and Congress to pass legislation that set the last Thursday in November as an official Thanksgiving Day for the entire nation, rather than a hodgepodge of days set by individual communities. Following further legislation in the 1940s to help the country recover from the Great Depression, Thanksgiving Day is now held on the fourth Thursday in November. While the celebration itself has changed since the Pilgrims’ time - instead of a three-day feast, most families have a one-day gorge timed between parades and football games - the core idea of setting aside a specific to gather together and acknowledge our thankfulness for family, friends, and blessings remains. 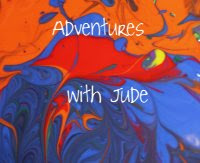 I’m thankful for all of you who have been supporting me and reading the Luke’s American Adventures series. Happy Thanksgiving!